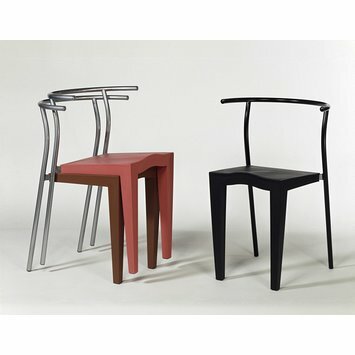 Dr Glob stacking chair in terracotta, designed by Philippe Stark for Kartell. Milan, 1988. 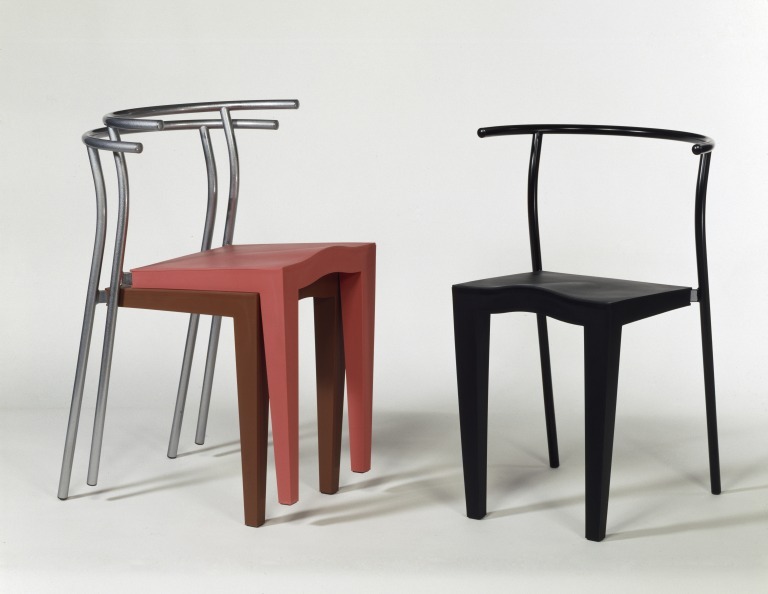 Philippe Starck is a prolific designer. This chair, which has spawned many 'Glob' variants, is said to have been designed in the time it took an airliner to lift off. Its significance lies in its instant recognition as a product of the super-star designer, Starck, as much as in its specific structure.